Why is the common cuckoo Cuculus canorus a fascinating bird species for humans? What are the main reasons for the species being known as “a messenger of spring and morality”1, and why is it so conspicuous in human culture? A review of folklore shows clearly that the enigmatic cuckoo has driven the collective imagination of people throughout the world for thousands of years. First and foremost the cuckoo-call is associated with seasonal change. The timing of arrival of the cuckoo and the vigour of its calls were also used as indicators of the weather2, 3. In ancient Egypt, Aristophanes wrote that its arrival was associated with harvest time2. Cuckoo lore is intimately linked with change and metamorphosis1,2,3 and its call reflects the real world passing of time when seeds are transformed into crops, maidens are married and maids become mothers. A total of 65,234 observations of bird occurrence in 3,592 sample sites in different environments were collected from ten European and two Asian countries. The maximum bird species richness per point count in all countries ranged from 12 species (Finland), to 28 species (San Marino and Switzerland). This study provides new evidence on the common cuckoo as a surrogate of bird species richness, previously tested in some European countries. This suggests that the common cuckoo is potentially a prime bioindicator in Eurasia. Even if related to different host species, and considering that the common cuckoo is not the only parasitic cuckoo in Asia24, we found the same pattern than in Europe: Occurrence of the common cuckoo is positively correlated with bird species richness in both continents. The implications related to finding the same pattern in Europe and in Asia are important from an ecological point of view. First, in Asia, C. canorus has different host species than in Europe. Second, the common cuckoo is not the only brood parasite in China and Japan. So, C. canorus is subject to a greater competitive pressure from other cuckoo species in Asia than in Europe. However, common cuckoo still shows the same capacity as surrogate of bird species richness, highlighting the process linking this particular (and charismatic species) to overall bird diversity. Our study shows that the population trend of common cuckoo, as well as climate suitability trend for the common cuckoo, follow the overall trend for populations of all other passerines species and the climate suitability trend in all Europena countries. This result supports the hypothesis that common cuckoo is a suitable bioindicator, making the species also sensible to climate change scenarios. When using proxies of population trends, many aspects need to be considered. For instance if within country variation in population abundance trends of different species is larger or smaller than variation among countries, and also how trends of other bird species can be related to the average community trend. This entry was posted in 2017, International, X and tagged Indicator species, study on 25 Jul, 2017 by Birdlife20 owner. As with peninsulas and places situated on an isthmus, Costa Rica has more than one coast. In the west, the Pacific splashes against beaches, estuaries, and occasional rocky spots backed by dry forest that transitions into rainforest as we head to the south. Over on the other side of the mountains, the rivers and streams rush their way down slope to eventually get muddy and meander their way to the Atlantic. Since that part of the Atlantic belongs to the Caribbean Sea, locally, the eastern low elevations of Costa Rica are also referred to as the “Caribbean lowlands”. However, other than some communities made up of people of Jamaican heritage, there’s actually not much Caribbean about it. White-crowned Pigeon might be on the list, but that rare prize for Costa Rica is far from regular. Birds with white on them are much more likely to take the form of goodies like the Snowy Cotinga, or two species of tityras. In Costa Rica, even the super shy Slaty-backed Forest-Falcon is seen more often than the island pigeon with the snow-white cap. 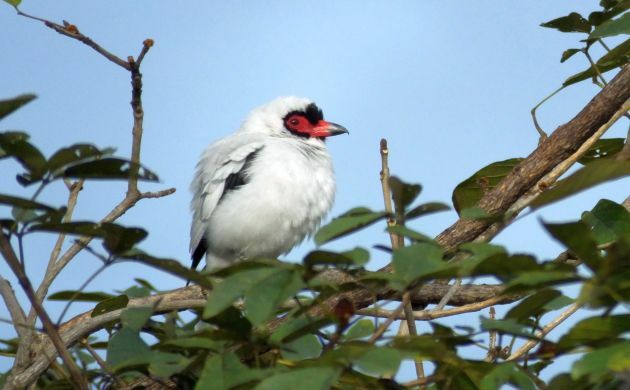 Masked Tityra– the most frequently encountered small bird in Costa Rica with white plumage. The Caribbean slope of Costa Rica also differs from the islands in having a lot more bird species. The lowland forests of this region are actually the most avian-rich part of the country and host around 400 some species. Although a lot of beautiful rainforest was replaced by bananas, cattle pasture, and other ag-lands many years ago, at least we can still enjoy great birding at a number of sites, most of which are easily accessible including Sarapiqui, the most visited site in the lowlands north of San Jose. This is where we find the La Selva Biological Station, Selva Verde, Tirimbina Reserve, and several options for lodging. Given the ease of access (except La Selva, a site only accessible by paying a fair bit to stay there or take a guided walk), it’s kind of odd that the Birding Club of Costa Rica doesn’t visit more often. To make up for our collective absence, we did a trip there last weekend. As with most of the club excursions, I was the guide and the weekend involved a mix of tropical birds, good food, and good company at a local lodge that treated us well. On this occasion, the accommodation in question was Ara Ambigua Lodge, and after staying there, I am happy to say that it acts as a good base for this bird-rich zone. Owned and run by a local family, they treated us very well, even making sure that we had coffee by 4:30 in the morning. The food was healthy, substantial, and delicious, rooms were comfortable and air conditioned, the hotel strives to be as sustainable as possible, paths between the many rooms were well lit, there are frog ponds with Red-eyed Tree-Frogs and other species just outside the restaurant, and the hotel is a quick drive to La Selva, Dave and Dave’s Nature Pavilion, and around a two hours drive from the San Jose area. I recommend staying there but what about the birds? Although the hotel isn’t situated in an extensive area of forest (very few places in Costa Rica are), it nevertheless works well for good edge and garden birding and the patch of rainforest behind the hotel could hold some surprises. This entry was posted in 2017, International, X and tagged bird-watching, tropical on 24 Jul, 2017 by Birdlife20 owner. Mercury is a ubiquitous environmental contaminant that affects the health of birds and other wild animals. Two varieties of songbird—zebra finch and European starling—were found to shed mercury accumulation with their feathers in a recent study. During a molt, both species quickly eliminated mercury from their blood and significantly reduced mercury concentrations in other tissues. This, coupled with a migration out of contaminated sites, may help birds deal with exposure to environmental toxins. “It came as no surprise that feather molt accelerated the mercury elimination, but we did not expect the rates to differ so markedly from the non-songbird species that have been studied previously. Understanding species differences as well as how molt contributes to mercury elimination can improve risk assessments,” said Margaret Whitney, co-author of the Environmental Toxicology & Chemistry study. This entry was posted in 2017, International, X and tagged Poisoning, study on 24 Jul, 2017 by Birdlife20 owner. A new study, published in the open-access journal, Frontiers in Ecology and Evolution, reveals this is not the case. Birds can find roads challenging too – they are less likely to be found next to roads and are hesitant to cross them. The results were quite clear. The widest roads – six-lane carriageways – had fewer bird species and individuals of each species crossing them than the narrower two- and four-lane carriageways. When they looked at the different body sizes and bird types, it was the smaller forest-dependent species that showed the biggest difference. This entry was posted in 2017, International, X and tagged habitat, human impact, study on 24 Jul, 2017 by Birdlife20 owner. Probing its beak into the soft mud, looking for seeds or insects, the Seaside Sparrow is a common sight on the southeastern coasts of the United States. Biologist Elizabeth Hunter started studying the small birds as a part of her dissertation at the University of Georgia. She wanted to know how sea level rise—which is already happening in Georgia at a rate of 3 mm/year—would threaten the sparrows. Then, she noticed something surprising. “Over three years of collecting field data on Seaside Sparrow nesting success, I noticed that many more nests were being eaten by predators than being flooded by high tides,” Hunter said in an e-mail to Popular Science. Not wanting to overlook an important threat to the population, Hunter, now at the University of Nevada, Reno, decided to create a mathematical model that would take both predation and sea-level rise into account. She found that while flooded nests were a threat to Seaside Sparrows, they were far more likely to build their nests lower in shrubs where predators were less likely to reach them, even if that meant their nest might get flooded more often. Hunter says that sea level rise has made the risk of Seaside Sparrow nests flooding five to ten times more likely now than in the 1980’s. When a nest floods while empty, or when a few eggs are tucked inside, the flooding is generally manageable. So long as the eggs don’t float away, the sparrows can rebuild. In addition to the threat of the rising sea, the sparrows face assaults from the sky and the land. Fish crows, grackles, red-winged blackbirds, and marsh wrens attack from above, while raccoons, mink, and marsh rice rats mount a ground assault. During seasons when predator activity was high, the sparrows kept their nests low to the ground. When they lost a nest due to flooding, they built higher, but the predator pressure weighed heavier in their choices than the flooding experience. Caught between gnashing teeth and the deep blue sea, Hunter estimates that predators are about seven times more important than sea level rise in Seaside Sparrows choosing their nesting location. Her research was published today in The Condor: Ornithological Applications. Luckily, even though Georgia is expected to get one meter (three feet) of sea level rise by 2100—further squeezing the seaside sparrow habitat—there is hope. Hunter says that there is a chance that if humans can lessen the predator impact by putting fencing or modified cages around nesting areas, they might be able to encourage sparrows to move to higher ground. 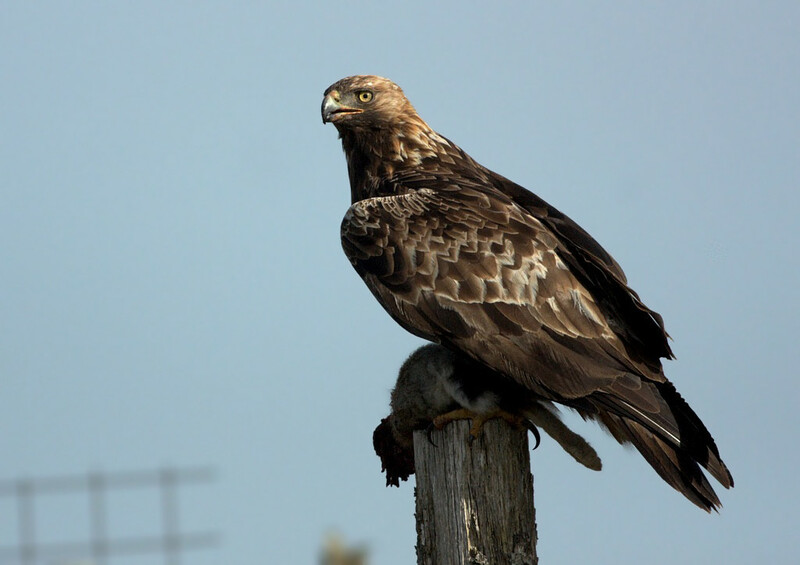 The research could also help other wildlife management teams plan out a future that keeps other birds living high and dry. This entry was posted in 2017, International, X and tagged nesting, predators on 23 Jul, 2017 by Birdlife20 owner. Efter knap to årtier med frugtbarhed og stor stabilitet på hjemmefronten blandt Danmarks ynglende kongeørne ender 2017 som en sæson uden nyt liv. Det er formentlig et sammenfald af uheldige omstændigheder, som bevirker, at der ikke kommer unge danske kongeørne på vingerne denne sommer. Og der er næppe grund til panik på artens vegne de kommende år, mener ornitologen Tscherning Clausen, der er Dansk Ornitologisk Forenings (DOF) artscaretaker for kongeørnen. Han samler alle data om ørnene, og sammen med fire redekoordinatorer holder han et vågent øje med udviklingen i bestanden. ”Indtil i år har de danske kongeørne været usædvanligt frugtbare, hvis man for eksempel sammenligner med deres svenske artsfæller. De danske ørne har indtil 2017 fået unger på vingerne 18 år i træk. At det glipper i år, kan måske skyldes et meget koldt vejrlig netop i den periode, hvor ørneæggene klækkede. Det kan også spille ind, at alderen begynder at trykke hos i hvert fald et af parrene. Og måske spiller rovdyr som mårer en rolle som æggerøvere. Vi har på ørne-webben hos DOF set, at en husmår er i stand til at kravle op i en havørnerede og æde æggene. Det samme kan ske for kongeørne”, siger Tscherning Clausen, der påpeger, at store rovfugle ofte springer en sæson over, uden at det nødvendigvis påvirker deres tilstedeværelse året efter på et givent territorium. ”Fra Sverige ved vi, at kongeørne ganske ofte tager en pause med ynglen. Nogle gange kan de springe en sæson over hvert andet eller tredje år. Her må vi sige, at de danske ørne til sammenligning har været ekstremt stabile og frugtbare lige siden artens indvandring. For eksempel har ørneparret i Høstemark Skov i Lille Vildmose fostret en flyvefærdig unge 14 år i træk. I år er første sæson, det glipper for parret, hvor fuglene er omkring 20 år gamle. Selv om kongeørne formentlig kan blive op imod 25-30 år i naturen og i fangenskab endnu ældre, kan alderen måske begynde at resultere i en ringere frugtbarhed hos Høstemarkfuglene”, siger Tscherning Clausen. Tidligt på sæsonen 2017 så det ellers lovende ud for de fire kongeørnepar i henholdsvis Store Vildmose, Hals Nørreskov samt Høstemark Skov og Tofte Skov i Lille Vildmose, oplyser DOF’s artscaretaker. Det nye ynglepar, der i 2016 etablerede sig i Store Vildmose, byggede i år en ny rede, men parret opgav tidligt 2017-sæsonen. I Hals Nørreskov, hvor ørnene har ynglet siden 2007, opgav parret i begyndelsen af juni. Også i Tofte Skov, hvor et nyetableret par byggede rede, og i Høstemark Skov, hvor de erfarne ørne residerer, tegnede det godt tidligt på foråret. ”Fælles for alle parrene har været, at de formentlig har nået at lægge æg og ruge en tid, inden det er gået galt. På sin vis er det ikke overraskende, at de nyetablerede ynglepar i Store Vildmose og det i Tofte Skov mislykkes med familielivet. Det ser man ofte hos store rovfugle. Men vi er overraskede over, at de veletablerede og meget stedfaste ørne i Hals og Høstemark fejler i år”, siger Tscherning Clausen. To af fire unge kongeørne, som i forskningens tjeneste er udstyret med GPS-sendere, sender fortsat data om deres færden i landskabet. Begge disse fugle giver på sin vis løfter om fremtidig frugtbarhed, for de opholder sig meget stabilt i velegnede yngleterræner for kongeørne. ”Den ene af de GPS-mærkede ørne har længe holdt til i moserne nord for Frederikshavn, hvor Råbjerg Moses store uforstyrrede flader må betragtes som et realistisk kommende fast revir for kongeørn. Også den anden GPS-ørn har realistiske muligheder for at etablere sig i det område, hvor den længe har holdt til. Det er nemlig i Hals Sønderskov, der ligesom Hals Nørreskov må siges at være et gæstfrit ørneteræn”, siger Tscherning Clausen. Trods den ringe sæson 2017 har de danske kongeørne gjort deres til at give arten luft under vingerne. I alt er der fostret 37 udfløjne unger i Danmark i perioden 1998-2016. Der menes at være plads, føde og territorier til måske en halv snes kongeørnepar i det danske landskab. Ovstrup Hede ved Herning og Borris Hede øst for Skjern er realistiske mulige ynglesteder. Også Randbøl Hede og Harrild Hede i Sydjylland, der tidligere har haft besøg af kongeørne, er potentielle yngleområder. Der skønnes også at være muligheder for flere par kongeørne i Thy, Hanherred, og i de store hedeplantager i Midtjylland. Også Vendsyssel kan komme yderligere med som ørneterræn, blandt andet i Jyske Ås-området. This entry was posted in 2017, Scandinavian, X and tagged nesting, rare on 23 Jul, 2017 by Birdlife20 owner. 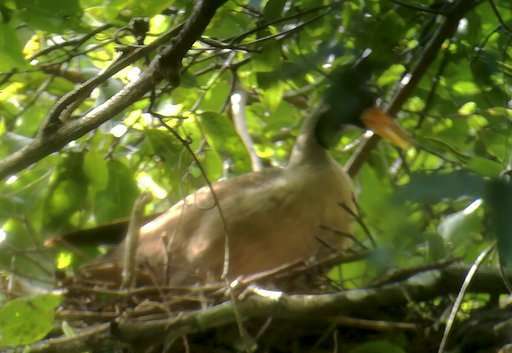 Wildlife researchers in Cambodia have found a breeding location for the masked finfoot, one of the world’s most endangered birds, raising hopes of its continuing survival. The New York-based Wildlife Conservation Society said Thursday its scientists, along with conservationists from Cambodia’s Environment Ministry and residents along the Memay river in the Kulen Promtep Wildlife Sanctuary, discovered the only confirmed breeding location in Cambodia for the very rare species. 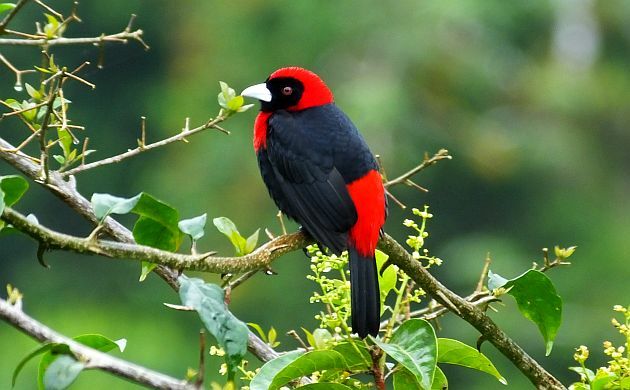 The International Union for Conservation of Nature has placed the bird on its red list of globally endangered species because its worldwide population of less than 1,000 is declining at an alarming rate. It is found only in Bangladesh, Cambodia, India, Indonesia, Laos, Malaysia, Myanmar, Singapore, Thailand and Vietnam. Poaching and cutting down the trees where the bird lives are causing the population decline, said Eng Mengey, a communications officer at the Wildlife Conservation Society. The Kulen Promtep Wildlife Sanctuary is one of several in Cambodia’s Preah Vihear province that are home to many endangered bird species, including the critically endangered giant ibis and white-shouldered ibis, the Wildlife Conservation Society said. “This finding provides further evidence that the Northern Plains of Cambodia is an important biodiversity hotspot and critical area for conserving breeding habitat for globally threatened water birds,” Alistair Mould, a technical adviser for the society, said in a statement. This entry was posted in 2017, International, X and tagged rare on 22 Jul, 2017 by Birdlife20 owner.